Fall in love with Eliza DooLittle, as Professor Higgins and Freddy Eynsford-Hill do in the beloved musical My Fair Lady. Freddy's ode to Eliza, On the Street Where You Live, expresses the rush of emotion that eventually overlows into a gorgeous melody best played with abandon. In contract, I've Grown Accustomed to Her Face, in which Higgins muses about missing Eliza, is arranged as a lighthearted cha-cha-cha. 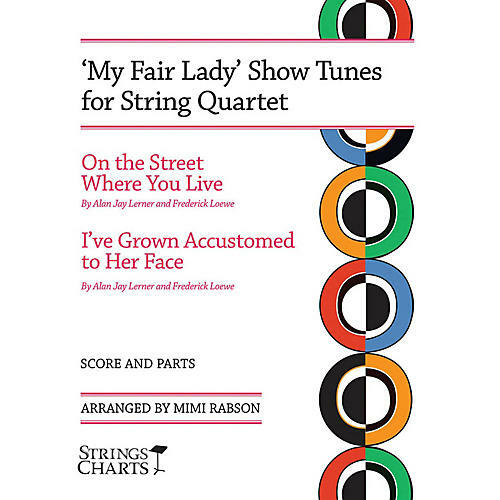 Both of these sophisticated string quartet charts are perfect for weddings and other casual events or even as concert encore pieces.